How to choose the best flashlight for Android? 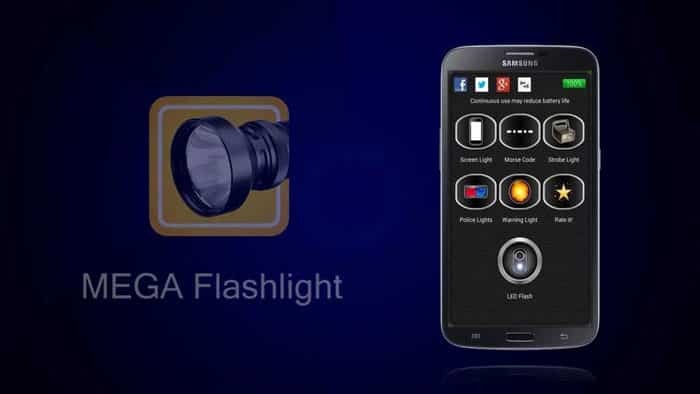 Flashlight for Android is an application that is rapidly losing popularity. Google has begun to add this program to its operating systems, starting with Lollipop, and smartphone makers include it in OEM shells. The need for third-party applications is reduced, as new versions of Android are becoming widespread. Nevertheless, owners of outdated devices are still forced to install special programs for the smartphone. Below is a list of applications that differ in minimum requirements and should work on most known devices. They can be considered the best programs to activate the flashlight. On the 1 place you can put the Color Flashlight tool, which is distinguished by the many available functions. It is characterized by minimal system requirements. The program can turn on the LED flash on the back of the phone. There are also a number of functions that allow the device to make the screen shine in different colors. At the same time, light can take on various shapes and sizes. The application contains advertising, but does not require permission to transfer personal data. The Flashlight tool, created by Mobile Apps Inc, can be put on the 2 place. It has a nice interface, built-in SOS signal and a slider for strobe other templates. The application also has a compass, so it turned out to be in demand among travelers. On the 3 site is the Flashlight tool from the SimGears studio. This application on the Android phone has a total of 4 visualizations that can be placed on the main screen to configure it for easy access to the lamp. There is also a built-in function that is able to determine what the phone put in your pocket. With this flashlight on Android automatically turns off, which saves battery power and saves the user from the hassle associated with manual shutdown. The light remains on even after the screen is locked. The application has ads, but it can be disabled in the settings. The next tool is called Flashlight HD LED. He can use the device’s touchscreen and LED flash to create a flashlight. It can be controlled using desktop visualization. 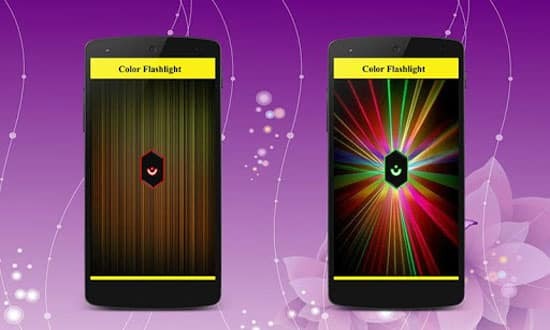 The tool allows you to turn the device screen into a flashlight using various colors from the palette. Otherwise, this program is very simple, because it does not have advanced features. The Mega Flashlight tool is another flashlight that works not only with the LED flash on the back panel, but also with the screen of the device. The application has various patterns that activate alarms and Morse code. This is a very simple flashlight with built-in instructions that will explain how to use the program. The Privacy Flashlight tool was developed by SnoopWall, which guarantees privacy to users. By installing this application, you can be sure that information about the mobile device will not get to third parties. Minimum permissions are required to install the program. In addition, the application occupies less than 1 MB of space. The program contains visualization and has a simple interface. Some users may be interested in detailed documentation, which describes how to solve problems when using a flashlight. The program Super-Bright LED Flashlight is considered popular. When installed, it only requests standard permissions to use the camera and microphone. The developers of this flashlight paid a lot of attention to aesthetics, which cannot be said about other similar programs. There is a strobe function that can be customized to suit your preferences. The TeslaLED Flashlight tool is different in that it was created by a developer who has received worldwide recognition. This studio is famous for applications like Nova Launcher and WidgetLocker. The TeslaLED Flashlight program offers a simple interface and a choice of visualization. Features such as gating and Morse code are provided. The tool has not received updates since 2011, but is compatible with most known devices. If you have problems with this program, technical support will not help to solve them. The Tiny Flashlight tool is another small application that takes up less than 1 MB. He has several visualization options for the screen, imitation of Morse code and a police flasher. The program looks impressive, it has been popular for a long time (it has been downloaded more than 100 million times). 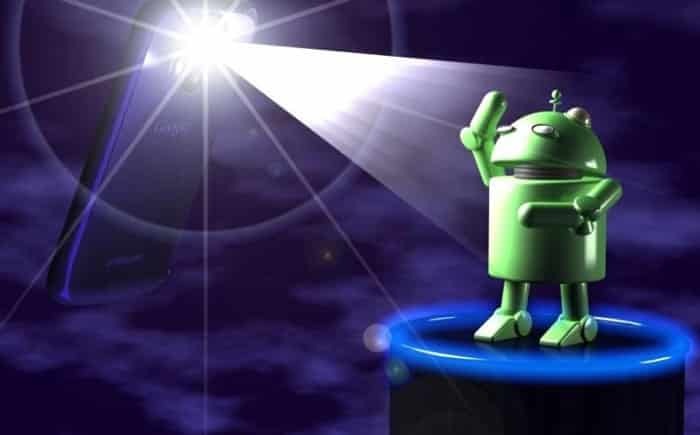 Appsgames⟾Useful for Android⟾How to choose the best flashlight for Android?